We will have this Saturday the confrontation between the formations of Napoli and Fiorentina. The formation Neapolitan has been one of the main adversaries of Juventus in the fight for the Italian national title the certain thing is that with less or greater difficulty the transalpine formation has celebrated at the end of the championships. Fiorentina started in the best way this edition of the Serie A Italian and with two games made the formation of Florence has its completely clean sheet. The Napoli come to this meeting with six points conquered fruit of two victories and one defeat. The Neapolitan formation began by beating Lázio in the Olympic of Rome by two balls to one after having been losing by a ball to zero. In the next day and in the debut of Carlo Ancelotti in the technical command in the bank of the San Paolo the Naples won by three balls to two AC Milan in a game in which again they were in disadvantage in the marker this time by two balls to zero. In the third round the first slip with heavy defeat in Genoa before Sampdoria by three balls to zero. After three days, the defensive difficulties of the Neapolitans, who in three games suffered six goals in an average of two goals per game, are evident. The formation of Fiorentina began this season with the right foot, on the opening day the Florence team saw their game postponed due to the disaster in Genoa. The formation of Florence was very well in the two subsequent meetings both held in the Stadio Artemio Franchi winning a thrashing Chievo formation by six balls to a being that in the third and last round Fiorentina won by a ball to zero the formation of Udinese. 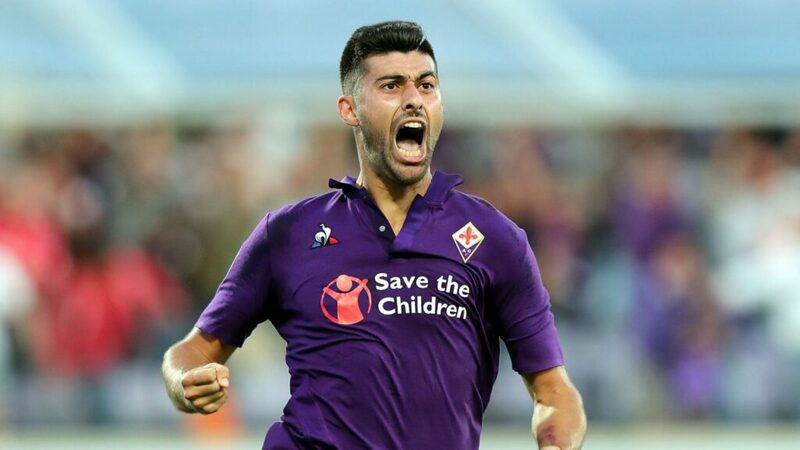 Benassi has been on the plate with three goals scored in two games being top of the list of top Italian Serie A scorers. To play at home and with a stop in the middle to align strategies mainly defensive I believe that Naples will win this meeting something that will not be totally easy in front of a team of Fiorentina that has quality and that started well this season.